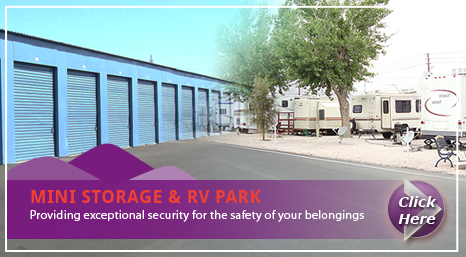 Family owned and operated since 1969, Maycliff Mobile Home Park and Maycliff Mini Storage & RV Park provide Las Vegas affordable living and Las Vegas mini storage. Our convenient locations, just 3 miles from the strip, friendly staff, and GREAT rates are just a few reasons to come and see what we’re all about. 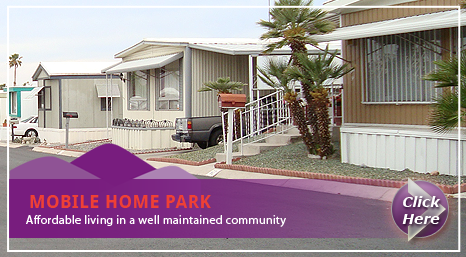 Our Las Vegas Mobile Home Park is a Las Vegas senior community that offers Las Vegas affordable retirement living including a pool, spa, and clubhouse. The Las Vegas RV Park provides short or long term residency at fantastic monthly rates. Amenities include laundry facilities, showers, hook-ups, trash removal, and car wash area. And, our Las Vegas self storage units start at just $55/month with 24/7 drive-up access. Maycliff Mobile Home Park Las Vegas, call 702-457-5890. Maycliff Mini-Storage & RV Park Las Vegas, call 702-457-3553. We look forward to seeing you at Maycliff! Thanks ! Maycliff Mini Storage ! I Give Yall 5 Stars !!! I Recommend Maycliff Storage to all my friends and Family! In Town and Out of Town, Thanks to the whole team over at Maycliff Velma, Lee, Larry, and Most of All What I Consider One of the Best Security Employees 'Louie.' For a 24 hr Access Storage I Know my Property & Belongings are Safe !! Thanks for your Kind Hospitality at Maycliff Storage!!! Best Storage in Las Vegas!